When it comes to smoke alarms, maintenance is not just about replacing a battery. Whilst this is an important point of maintenance, it is not the only consideration for smoke alarms servicing. Anything in a fixed position for a long period of time leaves itself open to the elements. 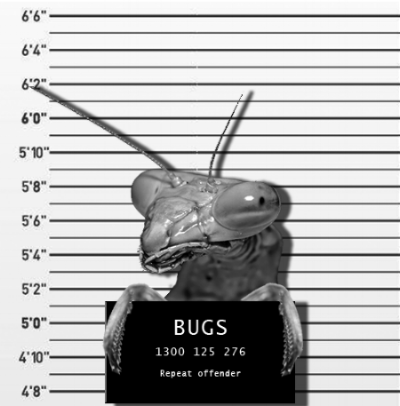 Bugs and dust can be a smoke alarms worst enemy. Insects come in all different shapes and sizes and while there is a lot that you can clearly identify with the human eye, there are just as many that you won't be able to see. Insects like the mosquito, the fairy fly and the angle insect can grow to 3 mm in length and can navigate into tight spaces. These tiny bugs often search for locations to hide or nest their eggs and a smoke alarm is a dream mansion to these tiny insects. People take pride in keeping their homes dust free, however dust can build-up in the tiniest and most awkward to reach spaces. Household furniture, furnishings, carpets, high positioned windows, and pets all contribute to dust build-up. 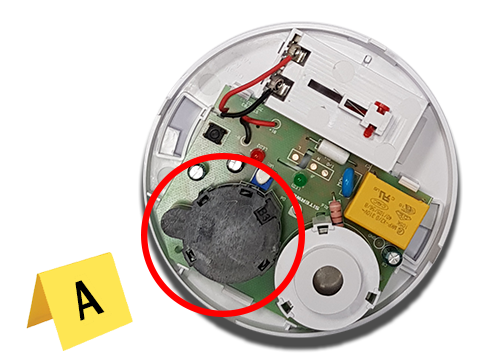 Dust build-up in your smoke alarm can cause the alarm to malfunction, preventing correct function in the event of a fire. Bugs and dust are problematic for smoke alarms as they may interfere with the correct functioning of your smoke alarm. This can block the path that smoke particles pass through to trigger detection (Evidence A and B below) causing a false alarm or a non-functioning alarm. Regular smoke alarm maintenance is important for the safety of your family. Smoke Alarms Australia can help in keeping your smoke alarms in their best shape, with a team of trained Technicians who have the skills and resources to keep your smoke alarms dust and bug free. Smoke alarm servicing prioritises keeping smoke alarms in the best possible condition for smoke detection. If you would like to know more or to get in touch, leave some information below and a member of our team will get in touch to answer any questions you may have.